With thanks to Macmillan Children's books for the copy of the novel! My review is as always, non-bias and fair. You can’t get into St Jude’s Academy unless you’re gifted, talented and supremely rich. New girl Alyssa is on a scholarship and feels like an outsider - she's not even that smart, apart from her photographic memory (and that's cheating, right?). Then one day her room-mate Lily is found floating face down in the lake. It looks like suicide, but, torn apart with guilt and grief, Alyssa is convinced that things aren't as they seem. Soon a jolted memory puts her on the trail of a sinister secret that might hold the clues to Lily's suspicious death. But Alyssa is in too deep, and she's being watched . . .The first in a brand-new YA series, perfect for fans of The Gallagher Girls. Murder? Mystery? Murder AND a mystery? Sounds exciting! I will love anything compared to the Gallagher Girls series, and especially being a Murder Mystery with all these elements of the before and after, and how the memory of Lily's murder came to be and then piecing it together, sounds like an incredible read! I was so happy to receive a copy from Macmillan Children's books, so a big thank you! First up; Alyssa was such a good narrator! I sometimes find in YA books that surround several characters that entwine into the dialogue frequently, that sometimes the main character voice can get lost, but Alyssa is up there with my favourites. And being her point of view, I felt that extra connection with the plot, and it really does help a reader when we can empathize and root for the main character throughout, by bonding with them. Onto the story! Wow. Lucy Carver is on her way to becoming the next Ally Carter. I was hooked without a doubt to the suspicion surrounding Lily's death and the whirlwind of chaos that became Alyssa's life. Lily's death is supposedly a suicide, but Alyssa knew Lily in a different way to how she was perceived, and knew better than to think that anything that felt sinister wasn't just a coincidence. But what I wasn't expecting was the further thrills of more bodies and a tale of the back story that would uncover the truth...if it didn't tear apart the lives of the ones the death effected first. I was slightly reminded of Ally Carter's Gallagher Girls series, not because of similar storylines or plots, but because of the incredible rollercoaster-of-a-book that Young, Gifted and Dead truly was. I knew it was going to be great, but it totally exceeded my expectations by miles! From diary entries to parties and sneaking out of St Jude's Academy to the hints of romance, I had my eyes peeled on clues and the mystery for the whole time. Everything came together in an epic conclusion with an ending I couldn't have flawed at all; totally how I would've ended it--better, though, a thousand times more amazing. 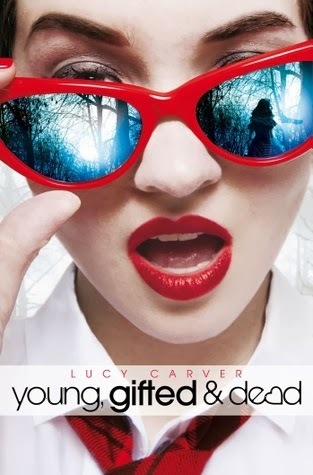 I can already tell that Lucy Carver's Young, Gifted and Dead is going to be a huge hit for the other YA-lovers who will choose to be taken on a ride of secrecy, enchantment and thrills. A massive 5 star novel! A favourite of mine this year, definitely. Have you read Young, Gifted and Dead? 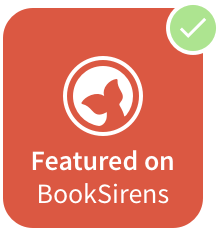 Does it sound like your kind of book?